After Breast Cancer is a Canadian-wide registered charity set up to provide resources that contribute to a woman’s Quality of Life (QOL) after breast cancer. We provide women with limited financial resources with mastectomy bras, mastectomy camisoles and breast prostheses at NO COST to them after breast removal surgery (mastectomy or lumpectomy). The Leukemia & Lymphoma Society of Canada’s mission is to: cure leukemia, lymphoma, Hodgkin’s disease and myeloma, and improve the quality of life of patients and their families. Our strategy to achieve the mission is based on three areas of focus: research, patient support and advocacy. 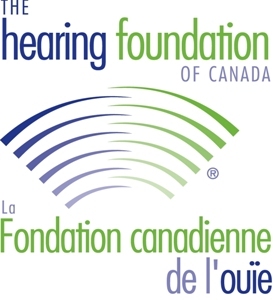 The Hearing Foundation of Canada (THFC) is a national non-profit organization for funding medical research, public education, and advocacy. It is committed to eliminating the devastating effects of hearing loss on the lives of Canadians by promoting prevention, early diagnosis, leading edge medical research and successful intervention. The Canadian Red Cross’ mission is to improve the lives of vulnerable people by mobilizing the power of humanity in Canada and around the world. Offering a complete roster of essential services through a network of 28 offices, CHS is a not-for-profit organization governed by a board of directors, the majority of whom are deaf, deafened, or hard of hearing. Diabetes Canada is leading the fight against diabetes by helping people with diabetes live healthy lives while working to find a cure. As Canada’s longest standing cancer charity, we have been making a difference in the lives of Canadians since 1938. The Society is a national, community-based organization of volunteers whose mission is the eradication of cancer and the enhancement of the quality of life of people living with cancer. Stop cancer before it starts. Our researchers are finding ways to prevent cancer while we promote healthy lifestyles and advocate for policies that protect the public. Ensure no one facing cancer is alone by offering services and support to those living with cancer. Empower Canadians with information on cancer to help them make informed choices about their health. Asthma Canada is the only national charity solely dedicated to enhancing the lives of the more than 3.8 million Canadians affected by asthma. For nearly 45 years, Asthma Canada has proudly served as the national voice for Canadians living with asthma. Our vision is a future without asthma. We help Canadians with asthma lead healthy lives through education, advocacy and research. Building a healthy and sustainable future: at home, in the garden, at work and in our neighbourhoods. Green Communities Canada is a national association of community organizations that engage citizens and local leaders in innovative initiatives that provide workable, meaningful community solutions to environmental challenges. Evergreen is a national environmental charity that engages and empowers Canadians to create and restore outdoor green spaces in schools, communities and homes. The Co-operative Development Foundation of Canada (CDF) is a registered charitable organization that works to alleviate poverty by building and strengthening financial and non-financial co-ops in Canada and around the world. CDF works with the Canadian Co-operative Association (CCA) and other organizations to implement development projects on its behalf. 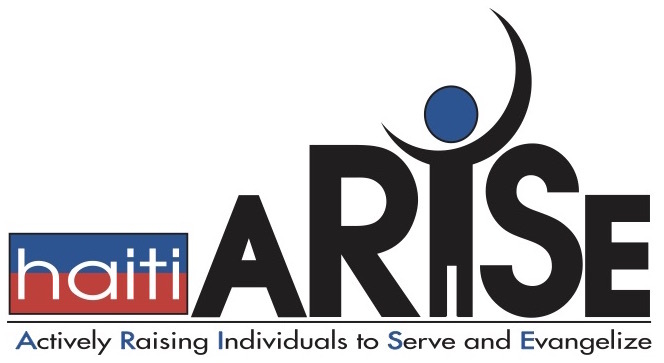 The Haiti Arise Technical Institute exists to provide quality and practical education and hands-on training in skilled trades and technical studies to the people of Haiti. The original school facility had just been completed before the January 12, 2010 earthquake, which severely damaged it beyond repair. Reconstruction of the original school is completed and now collision repair industry stakeholders in Canada and the US are working together to raise the funds needed to build a teaching facility to bring desperately needed education in proper collision repair to Haiti. The goal is to create a long-term sustainable educational program to improve the lives of thousands of Haitian families and create positive change in the community and country. Threads of Life is a national charity dedicated to supporting families along their journey of healing who have suffered from workplace fatality, life-altering injury or occupational disease. Our mission is to help families heal through a community of support and to promote the elimination of life-altering workplace injuries, illnesses and deaths. The Sunshine Foundation of Canada is a national Canadian charity impacting the lives of children living with severe physical disabilities or life-threatening illnesses by making their dreams come true. Sunshine Dream Programs give the children they serve the opportunity to experience freedom from their daily regimens and challenges by having their dreams transformed into reality, impacting them with a sense of independence, confidence, and empowerment that will stay with them for the rest of their lives. Sunshine has two dream programs: Sunshine Dreams, which can range from family trips to meeting a hero to customized gifts, and Sunshine DreamLift which is a whirlwind ‘day of yes’ adventure to a Disney theme park for a large group of children. Since its inception in 1987, Sunshine has fulfilled more than 8,000 dreams for children across Canada and coordinated 62 Sunshine DreamLifts. Let’s Talk Science is an award-winning, national, non-profit, science outreach organization. Let’s Talk Science creates and delivers science learning programs and services that turn children and youth on to science, keep them engaged in learning, and develop their potential to become 21st century citizens and innovators. For more information about Let’s Talk Science, please visit www.letstalkscience.ca. As Canada’s voice for animal welfare,Humane Canada drives positive, progressive change to end animal cruelty, improve animal protection and promote the humane treatment and respect of all animals in Canada. In 2013, a study performed by the Boston Consulting Group concluded that the Social Return on Investment is between $18 and $23 of clear economic benefit for every $1 invested in our traditional mentoring program!